What is a mentee doula? A mentee doula is a member of my Doula Mentorship Program in which I offer mentorship for doulas in training who are just beginning their own path as a birth doula. The mentee doulas are receiving one on one mentoring before and after their meetings with couples as they prepare for the birth of their baby as well as the throughout their labor, birth, and post partum period. Why should you consider a mentee doula? The benefits of hiring a mentee doula within my Doula Mentorship program is that not only are their fees lower while they gain experience but they are going to receive my personal mentorship along the way! All of the mentee doulas below have taken a doula training course and are working towards certification. What sets them aside from other doulas in training is that they are also receiving ongoing mentorship. As their client, you will get their time and amazing energy as well my experience and resources through them! They are super excited to meet with you and hope to be your doula match. They have completed not only their birth doula certification requirements but also have received Lori's 1-1 mentorship through at minimum, 5 client experiences - prenatally, during labors and births, and in the post partum period. All mentee doulas who have completed the program and are still accepting birth doula clients will be listed below. Please contact them directly by clicking on their photo for details on their fee and availability! Darlene’s journey to becoming a Doula began many years ago with the birth of her first child, where she felt the support and encouragement of other women in making difficult decisions during an intense labor. Her interest in birth continued as she found herself on a transformational spiritual journey. In “becoming” a mother, and having crossed the threshold as so many had before her, she found the incredible power of mothering to be both humbling and beautiful. She believes her commitment to a healthy attachment to her children, including breastfeeding, the family bed, baby wearing and simple kindness laid the foundation for the incredible relationship with her now 17-year-old daughter and 20-year-old son. Darlene’s work as a family advocate in New York City strengthened her belief that part of healthy family attachment starts with a well supported mom in pregnancy and birth. Through her continuing work with families from very diverse backgrounds, both as advocate and elementary school teacher, Darlene witnessed firsthand the power of intimate relationships in strengthening families and communities. Darlene became passionate, and maybe a little fierce, about helping women find and reside in the power of their intuition, while finding voice, peace and confidence, even under sometimes difficult circumstance. As a Doula Darlene believes every woman, regardless of circumstance has a right to a birth experience that is of her choosing, and deserves to be supported, respected and loved throughout that process. Darlene believes in the innate strength in every woman and rejoices in helping her find that strength. She hopes to support mothers in trusting their bodies, and finding safe space through education of this powerful process, of which pregnancy is just the beginning. Darlene is originally from Brooklyn and is a passionate advocate for equity among people. She holds a BFA and an MS in Education. In 2013 Darlene moved from Brooklyn to Philadelphia and became a certified yoga and prenatal yoga teacher, deepening her desire to serve. 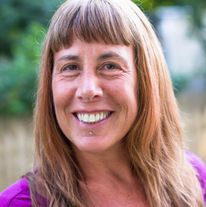 She discovered the Birth Arts International community and Beth Goldberg and took Beth’s Birth Doula training in March of 2015. When Darlene is not engaging in the ever changing life of a teenage girl or a 20-year-old young man, she enjoys writing her blog capturing the day-to-day stories of the life of a mother, as well as practicing as much yoga as possible. She loves to try new things, and is especially fond of creating beautiful flow in physical spaces. Darlene is very grateful to have been led to Lori and have the opportunity to receive mentorship and to be of service. There are no current mentee doulas at this time as the mentorship program has been slowly phasing out in 2016 so that Lori can focus on her own clients and family. Please contact a program Grad listed above or visit doulamatch.net to find a doula.